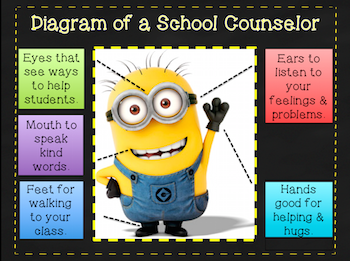 ​﻿Welcome to Mrs. Durst's Counseling Corner! I am very pleased to be your school counselor for all grades at Terra Alta East Preston, Aurora, and Fellowsville Elementary. I really enjoy working with the students, teachers and parents of Preston County to help make these schools a wonderful place to learn. I love being a school counselor because it gives me the opportunity to work with many children and their families on important skills. I truly believe it is vital for the adults of the future to learn how to communicate and get along with each other and to solve difficult problems without violence. As I work with our students, I hope to be touching the future in a positive way. I wanted to allow you to get to know be better so here is a little information about me. I am a certified School Counselor in Preston County. I am at three schools: Terra Alta East Preston, Aurora, and Fellowsville Elementary. I grew up in Preston County and will always call this place my home. I attended West Virginia Wesleyan College, where I received my Bachelor's degree in Psychology. I also have my Master's degree in School Counseling from West Virginia University. I am certified to counsel all age groups (PreK-Adult). I am also a National Board Certified Counselor. This is my third year as a school counselor in Preston County, and I am excited to continue my journey with all my awesome students! Students can be referred to small group and individual guidance by a parent or teacher. Students who have personal issues can also request to speak with me themselves. Referrals are available outside my office or you can click the link below. You can also give me a call or e-mail me (maureen.durst@k12.wv.us) to discuss any issue. My door is always open! Classroom Guidance- The counselor goes into the classrooms to teach knowledge, skills and attitudes that will help students reach their full potential in the areas of academic, career and personal/social development.